The XM-15 platform is a proven performer; in the hands of law enforcement organizations, military units in many countries, and countless competitors, hunters and recreational shooters. The Patrolman's Carbine features a 4150 CMV chrome-lined barrel, M16 bolt carrier, and HPT/MPI bolt. 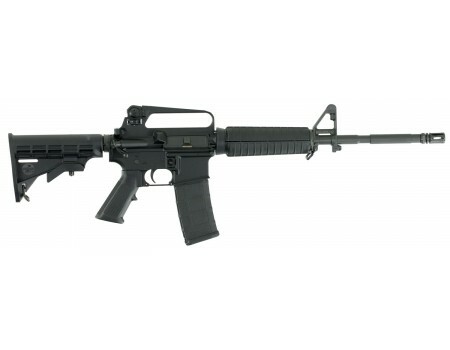 All major components are Mil Spec; the same proven tolerances, materials and finishes that serve those who defend freedom go into every XM-15 Bushmaster makes.This M4-A2 model has a 16" barrel with an M4 profile and an A2 flash hider. The carbine has teflon-coated 7075 forged receivers with a fixed carry handle, F marked front sight and a black anodized finish. 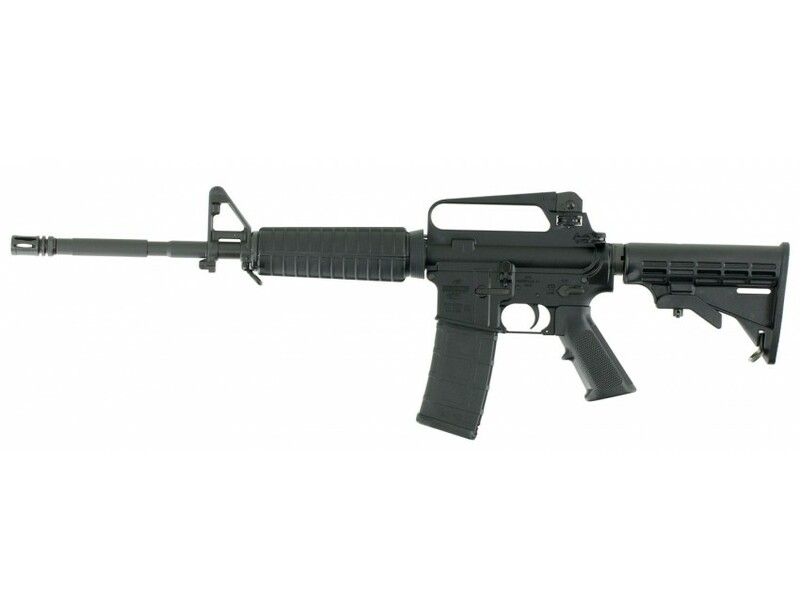 It has a black six-position stock, and includes a 30-round magazine.